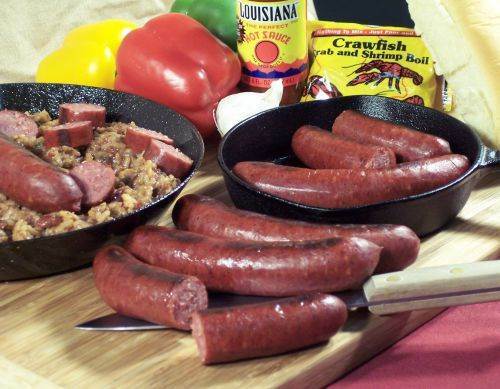 Known from Louisiana Creole culture the authentic flavor of this Cajun classic will satisfy. 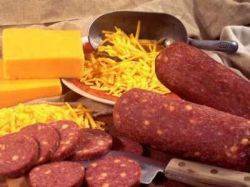 A coarse ground smoked sausage with a sweet and spicy flavor profile. 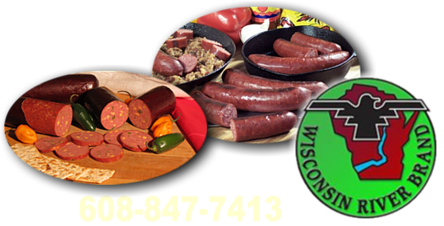 Service Area: Mauston, Wisconsin Rapids, Baraboo, Sparta, Waunakee, Richland Center, Viroqua, Montello, Poynette, Cross Plains, New Lisbon and surrounding communities. 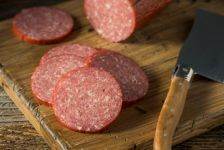 Page Summary: Wisconsin River Meats makes great homemade summer sausage, beef summer sausage and smoked summer sausage in natural casings throughout Wisconsin, including Milwaukee, Madison, Green Bay, Kenosha, Racine, Appleton, Waukesha, Eau Claire, Oshkosh, Janesville and surrounding (WI) communities.